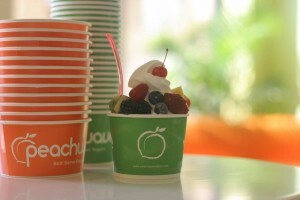 Peachwave uses a system that is new to the frozen dessert food service industry to provide natural non-fat frozen yogurt in a convenient and time-efficient way (self-serving model). 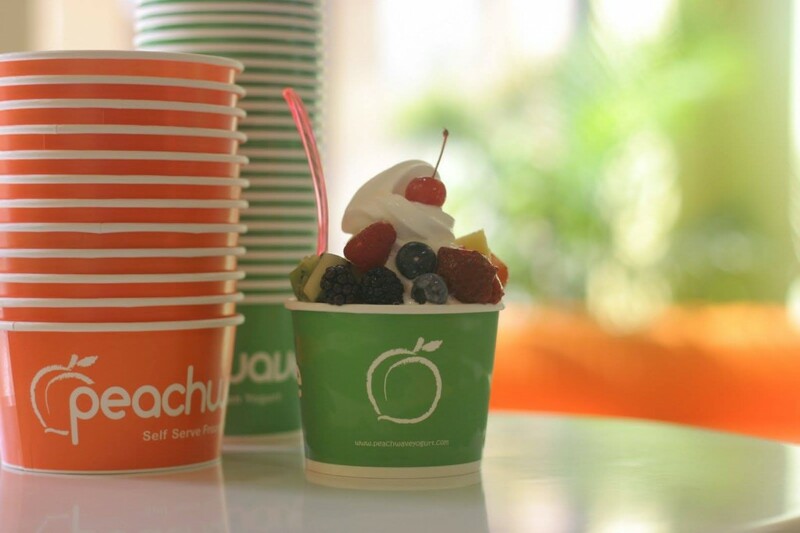 Peachwave provides its customers to serve from a soft-serve machine with their choice of frozen yogurt flavors with freshly prepared natural fruits and other healthful toppings through an exceptionally efficient operation. 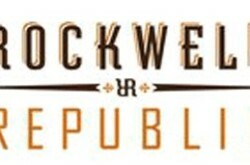 Self-serving model gives customers opportunity to create their own treats their way providing ultimate choices and totally new fun experience. you serve yourself from a choice of 24 frozen yogurt flavors with 75+ freshly prepared natural fruits, grains, nuts, homemade whipped cream / waffle cones and other fun toppings. So, you have the opportunity to create your own special treat (including portion control) with unlimited combinations in a totally fun way for adults and children alike.